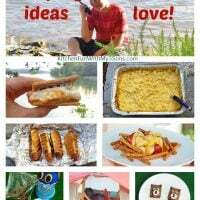 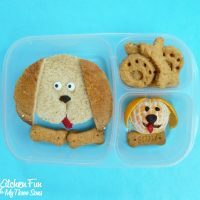 This is fun to do for little boys! 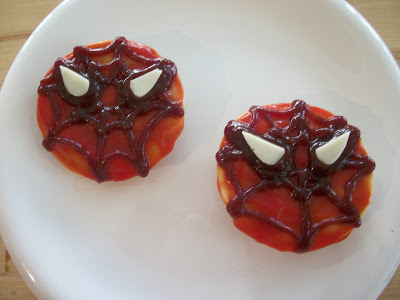 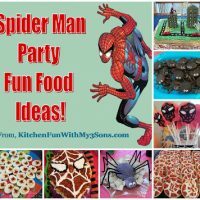 We made some Spider Man burgers using ketchup for the face and piped on barbecue sauce for the web. We cut white cheese for the eyes.